For this milkshake, I used a combination of Silk Almond Coconut Blend and Silk Almondmilk Protein + Fiber. Both gave the milkshake a delicious almond flavor with just a hint of coconut added in. I love the idea of the extra protein and fiber I was adding into this sweet treat too. 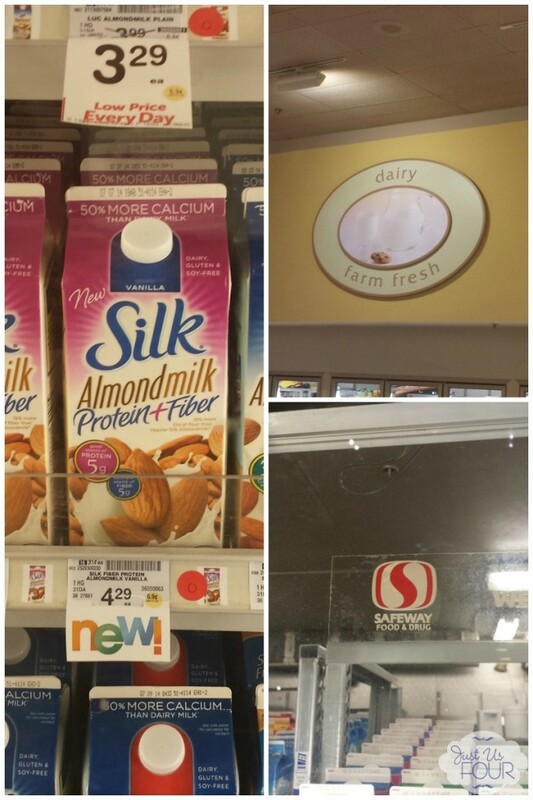 I hadn’t seen the Protein + Fiber version of Silk Almondmilk before but I was visiting Safeway for something else and stumbled upon it in the dairy aisle. Add banana to blender and pulse once or twice to roughly chop. Add cocoa powder, milk, frozen yogurt, almond extra and 2 1/2 Tbsp shredded coconut. Blend until smooth. Pour into cup and top with shredded coconut, sliced almonds and chocolate shavings. 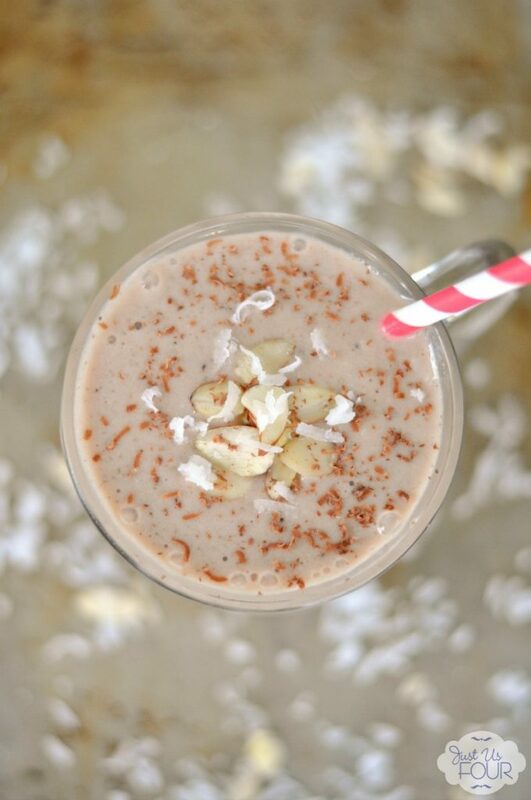 This milkshake is the perfect combination of almond, coconut and chocolate. The banana is the perfect sweetener but it leaves absolutely no banana taste. Trust me on that one…I can taste banana in practically anything it is put in and I couldn’t pick out the flavor! 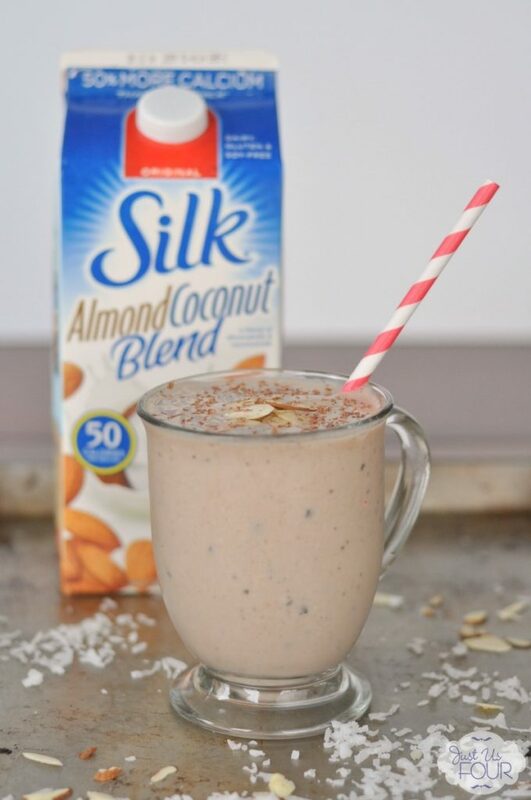 Silk almond milks provide the perfect balance of almond and coconut flavor. Plus, it tastes delicious and is has so many great nutritional benefits. What are some of your favorite summertime treats? Do you make milkshakes to cool down in the summer? Looks so yummy Shannah! The pictures are great too, especially the last one, that’s my favorite. Yum yum, pinning!! Oh that looks so good! I love almond milk too! 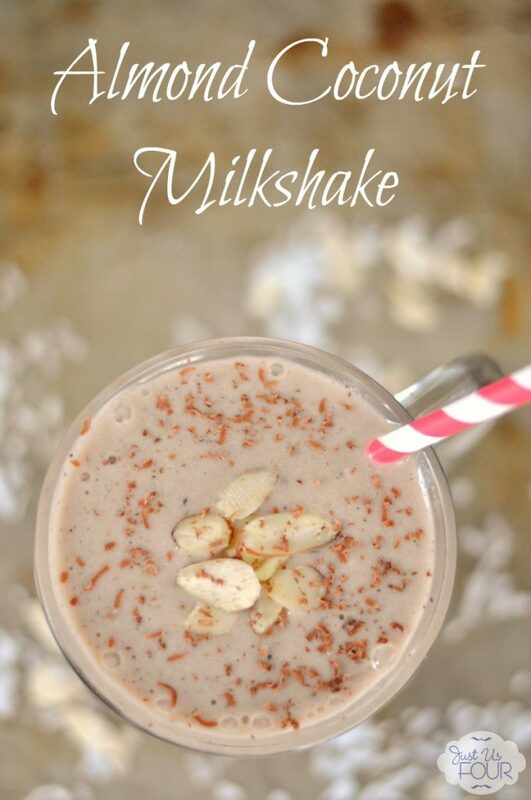 I LOVE coconut and almond, so this milkshake is calling my name – YUM! My daughter makes milkshakes all the time and she often uses almond milk. This looks wonderful. All the flavors sound great to me! Pinning! This sounds delightful! The perfect summer time treat! I haven’t played around too much with Almond Milk yet but I love almonds and I bet it adds and awesome flavor to recipes! I love milk shakes. I love the flavors you add to this one, sounds perfect for a hot summer day. This looks so yummy, pinned for later! I just have to try this! Sounds great!